This tie by Puccini is perfect for the man seeking a unique pattern and color combination. 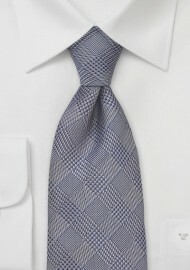 A mix of houdstooth pattern and glen-check are combined with the two colors navy-blue and mushroom gray. This tie will stand out without being too flashy. 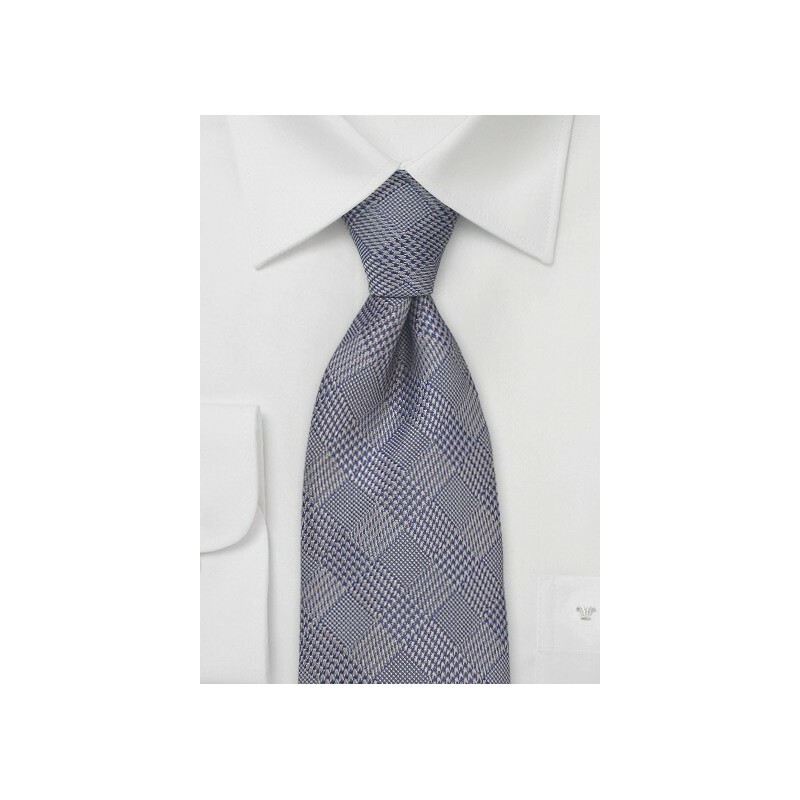 To match this unique checkered tie we suggest the classic white dress shirt, tan linen suit, and dark brown dress shoes. Made from care-free and stain resistant microfiber by Puccini.